Canterbury’s commitment to innovation and cutting-edge fabric technologies is displayed to the fullest in the Polyester Short. Like all of Canterbury’s training gear the Polyester Short’s focus is quality, with durable and breathable materials to help you stay dry. 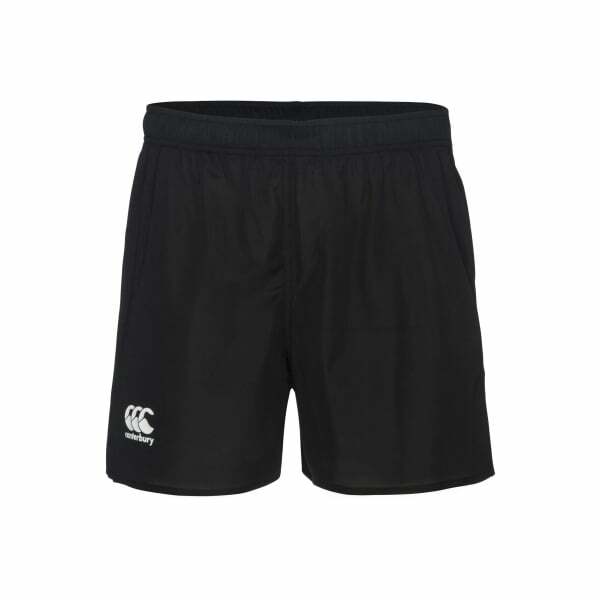 Featuring a lightweight 100% polyester tricot, this high-performance item empowers you with freedom of movement for the most intensive of training days, while the stylish CCC print at the hem offers style and familiarity with Canterbury’s well-established community of fans and players. The elasticated waist with drawcord ensures the maximum degree of comfort and fit so you’ll look great whether you’re celebrating with the team after a game or heading out to the field for a training session.